Even for us tech savvy folks, understanding the role of domain names in the ecosystem that is Internet can be challenging. Even more so when you add subdomains in the mix, because then we are talking about root domains as well. This post however, will tell you everything you need to know. We already explained what domain names are and told you all about how important DNS (Domain Name System) is. In short, without the DNS, our lives would be much more complicated. Whenever we wanted to visit a specific place on the web, starting from our Facebook profile to a viral BuzzFeed article, we would be required to remember seemingly random strings of numbers. Think 50.63.201.97. Luckily, DNS was created so we don’t have to. Instead, remembering “domain.me” is enough. When you register a domain name you can create an unlimited number of custom subdomains at your registrar. Some people even turned it into a business. They earn by buying attractive domain names and “sell” registrations of subdomains. WordPress.com, Squarespace and other platforms do something similar. They create separate profiles for their users – on different subdomains, while the root domain is the same. For every system to work, especially the one where many users create new online destinations on a daily basis, we need a set of rules for naming those online destinations, so they are easier to locate. We need a hierarchy. The Domain Name System (DNS) is all about hierarchy. When referring to elements that make the domain of your website, domain.me in our case, you always go right to left. Everything starts with a Top Level Domain (TLD) like .COM, .BIKE, or, in our case, .ME. If we take blog.yourwebsite.me, .ME is a TLD or a first-level domain, yourwebsite.me is a second level-domain and blog.yourwebsite.me becomes a third-level domain. People occasionally refer to subdomains as third-level domains. For example, “blog” here is a subdomain of “yourwebsite.me”. 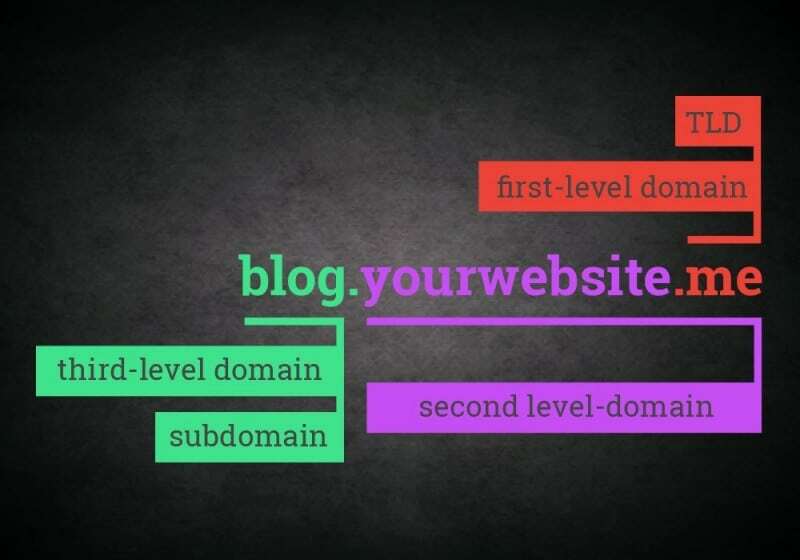 At the same time, “yourwebsite.me” is the root domain or “blog”. Many expressions for what makes a domain name, and they oftentimes overlap in meaning. This is especially true if you cater to different regions and content and language of your website needs to be customized for each region. Sometimes it’s easier, both cost and performance wise, to create several entirely different websites than to maintain one heavy multi-lingual site. Craigslist has separate subdomains for different regions. Aside for customizing content, they are using subdomains to optimize the websites separately for each of those regions. For example, when I try to open their website, I get redirected to https://zagreb.craigslist.org/ as that shows entries for the area I am in at the moment. Many people are not aware of the fact that “www” is a subdomain of your domain. In fact, you can replace the“www” with a different subdomain, like in“so.awesome.me” or have no subdomain at all and go “aweso.me” instead. You can use a subdomain to provide a mobile-friendly experience for your visitors. Instead on working on a responsive site with elements that work on all screen-sizes, you can opt for an adaptive approach that represents a unique experience for each screen size. Instead of scaling the content to an appropriate size, your website can determine the type of the device and serve a layout specific to that size. 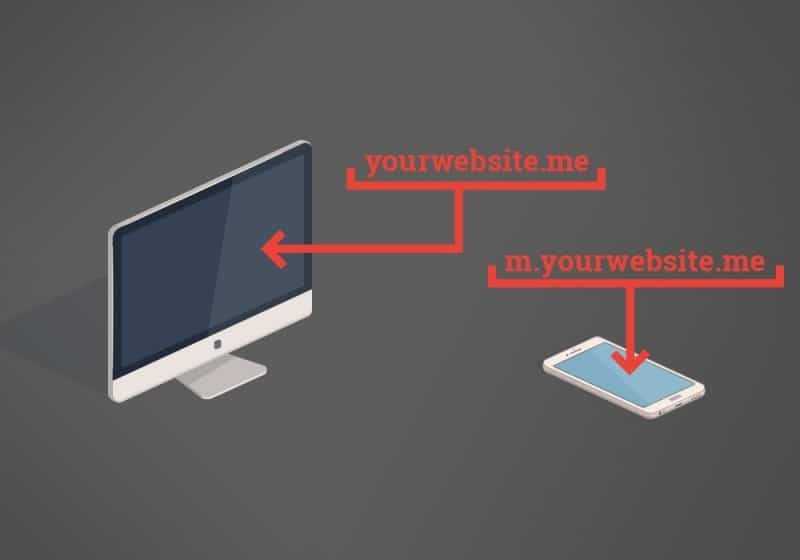 For example, your desktop visitors see yourwebsite.me while mobile and tablet visitors see m.yourwebsite.me, hosted on a unique subdomain. When you create a Tumblr profile, it’s hosted on youprofile.tumblr.com. Many services function the same, with an option to get a custom domain name connected to your profile later on. A downside of having many different subdomains, especially if you give or sell them to others for use is that there is one instance when subdomains and their root domains are regarded the same; in instances when a subdomain is flagged as for phishing by users. If you have 10 subdomains, and only one of them gets flagged for phishing, the root domain and the remaining 9 subdomains will be marked for phishing as well. One of .ME’s values is to take care of the safety of our neighborhood. That is why we suspend domains which are used for malware, phishing or spam. However, we always face a challenge when a subdomain gets flagged, because the only way to truly make sure it does not bother users is to suspend a whole root domain. This means that if you do have a root domain with subdomains used by many users, you have to keep track of what they use their subdomains for. In case some of the users use their subdomain for illegal activities online, your whole domain could get suspended. If that happens, you will have to delete the user and provide proof that you did so, so your domain can be unsuspended. But prevention is always better than cure. 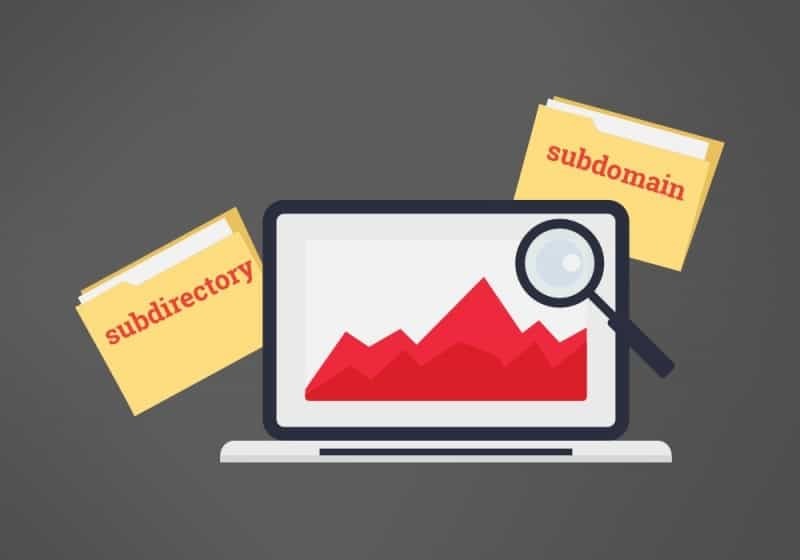 Subdirectories, also referred as subfolders, are extensions of the main, root domain, and they are also used to organize the content on your website. If we have “domain.me/blog”, “blog” is a subdirectory on domain.me. There is an endless debate on what is better to use to organize your site, subdomains or subdirectories, from the standpoint of search engine optimization. There are pros and cons to either approach. People used to prefer subdomains because it allowed them rig the search engine game by stuffing their subdomains with keywords they wanted to rank better on. Today, that strategy can lead only to getting penalized by Google. The winning strategy is to focus on the content. Resources – This can be a pro or a con depending on what you need. Subdirectories allow you to customize your site for different regions, products, users… That is great if that is really what you need and you have resources to create a valuable content for each of your subdomains and optimize them for search engines accordingly. This is where you can make the most of optimizing your website for local search results, like Craigslist. With a subdirectory you don’t have as many options to customize the content on your website but it’s much easier to manage what you do have because you don’t need to create as great amount of highly customized content. SEO ranking – It seems that from Google’s perspective, it does not matter that much if you use subdomains or subfolders. Last year, Google’s John Mueller said that Google does a pretty good job figuring out what you are trying to do and it doesn’t matter if you decide on subdomains or subdirectories unless you have a massive numbers of wildcard subdomains. The same was stated by Google’s spokesman Matt Cutts back in 2012. who also said that, for Google, subdomains and subdirectories are “roughly equivalent” and that Google sees them as one domain. In the beginning, Google used to offer separate search results for separate subdomains, treating them as completely separate website from each other and their main domain. The problems started when people started using it to rank several of their subdomains for the same search term. That is when Google switched to trying to draw the connection in between subdomains and their root domain. If it makes sense, the Google will consolidate the results and serve just one domain to the search result. And this still seems to be the sentiment of many other SEO experts. I am guesting that the debate between subdomains and subdirectories can be settled on a case-to-case basis, because what works best for you, depends solely on what you need. And when it comes to high ranking in search results, they will follow high-quality content that provides value to your audience. Editor’s Note: This post was originally published in June, 2012. A lot of things changed in the world of Internet since then so we decided to update the post accordingly.